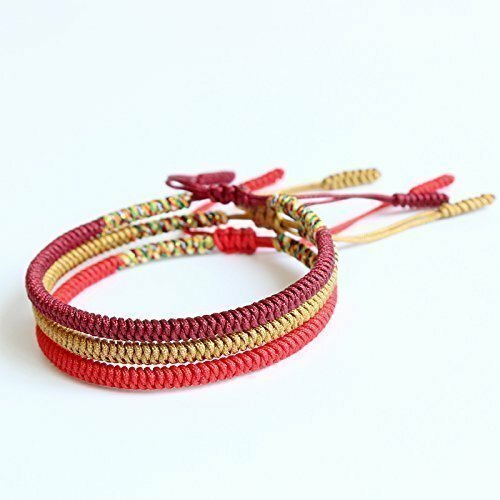 Lucky rope bracelet hand-made by Buddhist monks, while reciting mantras over each knot. The bracelet attracts good luck to those who wear it regularly. Bracelet resizable (15-22cm）. You can adjust the size of the bracelet by holding the knots in the middle and pulling the sides of the bracelet. If you have a problem with adjusting the size of the bracelet, please do not hesitate to contact us, we will send you an instruction with pictures. Basic price is for 1 STRAND - using the "COLOR" option menu you can choose the color of the bracelet you want to purchase or choose to buy a set of all 3 bracelets for a bit more favorable price. Check the GALLERY to see each option available. If you have any questions about this product by TALE Design, contact us by completing and submitting the form below. If you are looking for a specif part number, please include it with your message.